Before we go into the nitty gritty of portable toilet operation, let’s take a look at the main components. First, there’s the toilet seat – its function is pretty self explanatory. Then there’s the flushing mechanism and pressure system. These work to transport waste from the toilet into the final component: the holding tank. These main four sections of a portable toilet work to ensure that the toilet is a complete unit. When all four components work together, outside plumbing and connection is not necessary. Basically, it is these four mechanisms that ensure your portable toilet can travel anywhere – plumbing or not! When a portable toilet flushes, it is aided by one of two things: water, or toilet chemicals. We’ll look at toilet chemicals later in this list. So let’s focus our attention on the water, and one main question that accompanies it: where does the water come from? Generally, if you have a water-flushing portable toilet, there will be a concealed water tank somewhere in the unit. This may be the same water tank that services that handwashing taps in the portable toilet. In some units, though, the flushing tank is separate. The holding tank is the key to the portable toilet, so, understandably, it has to be built tough. A leaky holding tank is enough to ruin any portable toilet – and probably the grass immediately surrounding it! That’s why portable toilets are usually built from a tough plastic compound, sometimes with aluminium holding tanks. Such construction ticks the two main boxes when it comes to portable toilets: durability, and weight. Portably toilet holding tanks only work if they’re both strong, and light. That’s why plastic and aluminium components are normally the pick of the bunch. A portable toilet holding tank doesn’t exactly sound pleasant – and it’s certainly not something you would want to see. But it is far better than you are probably imagining. And that’s thanks to the unsung hero of every portable toilet: the toilet chemical. Portable toilets are equipped with a chemical additive in their holding tanks. This additive is potent, and it serves to break down waste, mask odours, and kill bacteria. This treatment alleviates health concerns, and allows portable toilets to remain a hygienic solution to waste management issues. Thanks to portable toilet chemicals, your portable toilet can remain on site for longer, without any adverse effects. Portable toilets can’t work without frequent expert servicing – here’s how that works! Of course, portable toilets aren’t a permanent set and forget solution. They do require maintenance. That’s why a good portable toilet provider is essential. With a good portable toilet provider, you get the service you need, when and where you need it. That service includes deliver, maintenance, and removal. 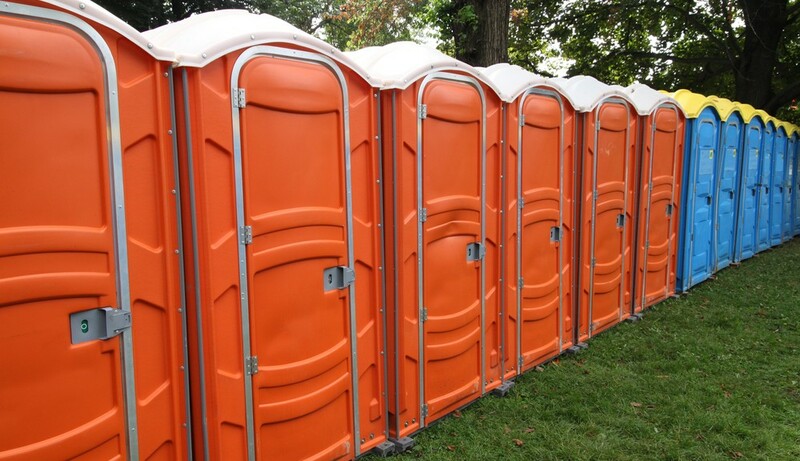 As a part of their regular maintenance, portable toilets require emptying, cleaning, and chemical or water refills. Luckily, all those tasks are ones happily completed by a good portable toilet provider. They really are the convenient waste management solution! Get in touch with Dunkum Dunnies today!